HANNIBAL, NY – Beverly Ann Halstead, 69, a lifelong resident of Sterling, passed away Tuesday July 24, 2012, at Oswego Hospital. She was the daughter of the late Leonard Lyon and Merel Hopkins Lyon. 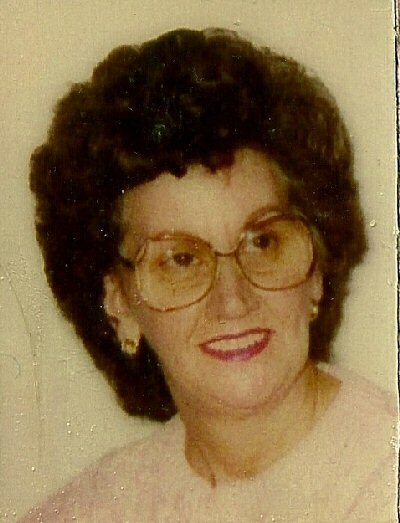 Beverly had worked at General Electric in Liverpool, Comstock Foods in Red Creek and retired as a hairdresser. She was a majorette of the Fair Haven American Legion. Beverly was a loving wife, mother and grandmother who enjoyed painting, working in her flower garden and making floral arrangements. She was predeceased by a son, Kenneth Halstead; two sisters, Leila Mae Lyon and Carrie Buettner; and brother-in-law, Raymond Halstead. Beverly was married June 6, 1959, to Robert B. Halstead in the Hannibal United Methodist Church. In addition to her husband, Beverly is survived by two children, Robert R. Halstead and Lorraine L. (Dale) Ritchie both of Martville; five grandchildren, Charles L. Ritchie, Kevin A. Ritchie, Alicia M. (Andrew) Bentley, Robert J. Halstead and Benjamin B. Halstead; two great-grandchildren, Allyianiya M. and Auston J. Bentley; one brother, Carlton Lyon of Sterling; a sister-in-law, Barb M. Shaw of Fort Myers, Fla.; a son-in-law, James Halstead of Oklahoma; four brothers-in-law, James Halstead of Oklahoma, Art Halstead of Jordan, Gene Halstead of Meridian and Ronnie Halstead of Weedsport; a very close friend and cousin, Catherine Shortslef; as well as several nieces, nephews and cousins. Funeral services will be held 11:30 a.m. Saturday at Foster Funeral Home, Hannibal, with Rev. Vivian Summerville officiating. Calling hours will be 5 to 7 p.m. Friday and 10:30 to 11:30 a.m. Saturday at the funeral home, 837 Cayuga St., Hannibal. Beverly will be laid to rest at Springbrook Cemetery in Sterling. My deepest sympathy to Robert Halstead and family and Catherine Shortslef Beverly was a terrfic lady and 2nd cousin. She will never be forgotten.